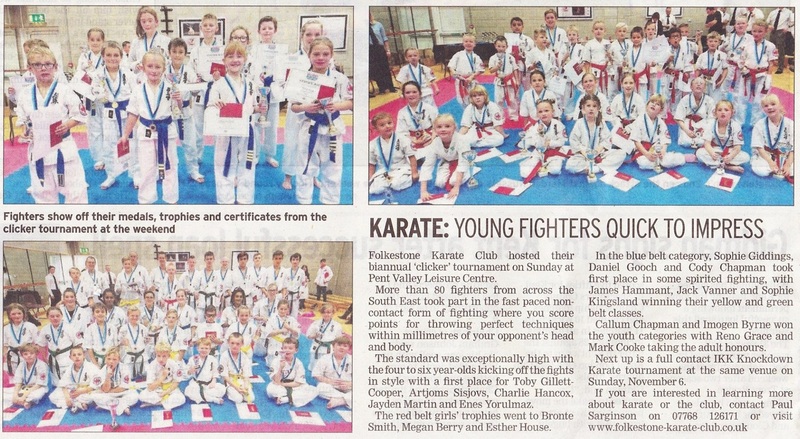 Our superb IKK students from all over Kent and the South East made the papers this week. The story featured their impressive performance at the IKK clicker competition last weekend, held at Pent Valley Leisure Centre. The Folkestone & Hythe Express newspaper featured the story. We are immensely proud of all students who took part in the competition and look forward to the next one.